Your Domain is your home on the web, it is the name you will be know as for as long as you trade on the web, so pick it wisely. Selecting a domain is the beginning of your journey and getting it up and running will only take a few minutes when it is done right! Domains are changing all the time and you will be hearing all the time about new extensions being made available but there is no point sitting back and waiting for the extension that completes your name. What I mean by this is there will only be one "www.gone.fishing" or "www.lets.dance" and they will probably be gone before they are even made available to the general public. This may be what you are waiting for the perfect name but you need to get on the web before your competitors have taken all your customers! We have a guide for how to buy your domain and for marrying your domain and hosting together. Here you are going to get information on your domain everything from picking, registering and setting up. 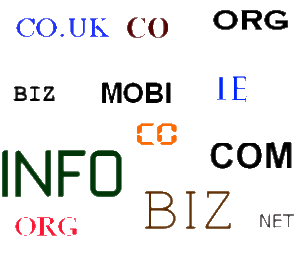 These links are to items covering domain, have a read through them and use what you learn to get started.